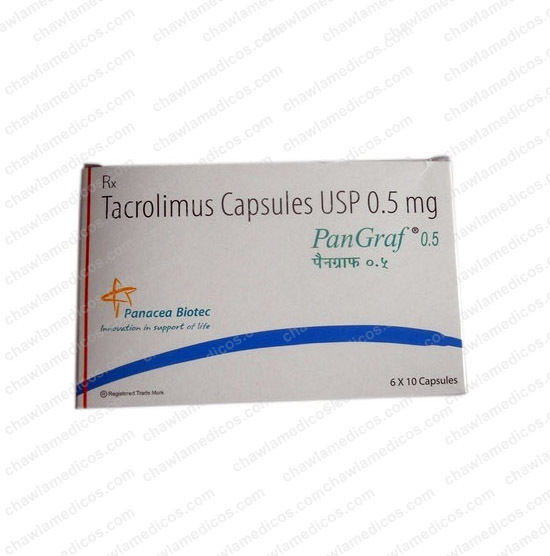 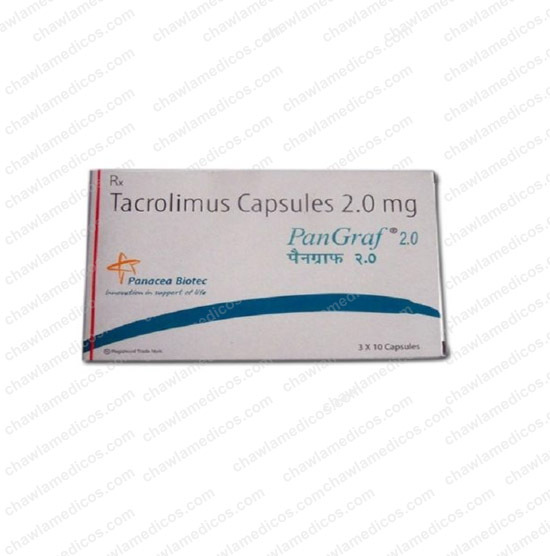 Pangraf Capsule 2mg | biocon | Tacrolimus online at best price in India. 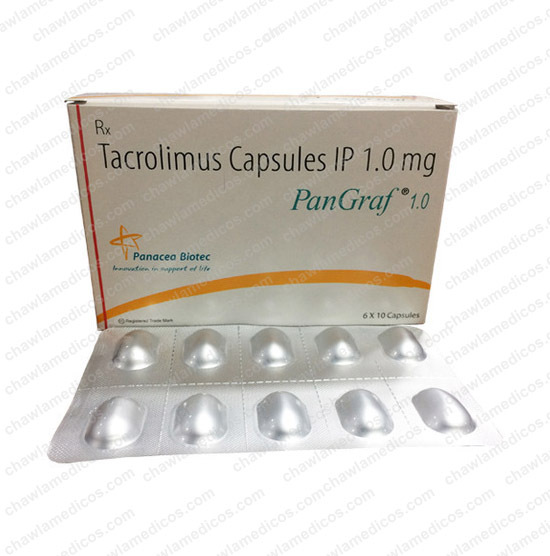 Pangraf Capsule is used to suppress the body’s immune system to prevent organ rejection after an organ transplant surgery. 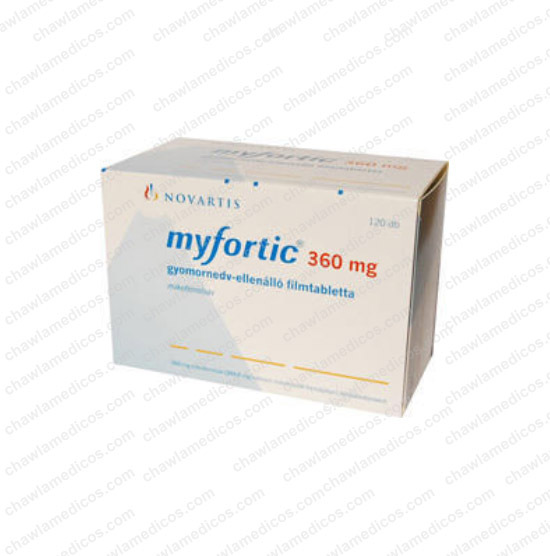 The drug acts by inhibiting certain enzymes that help in suppressing the body’s immune system. 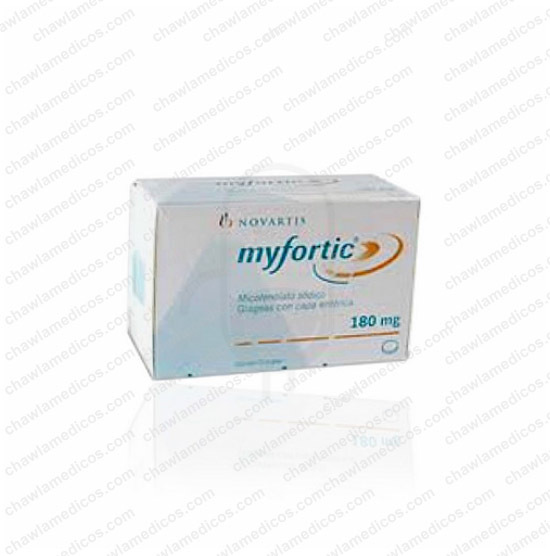 This prevents the release of antibodies, which enables the body to accept a foreign organ. 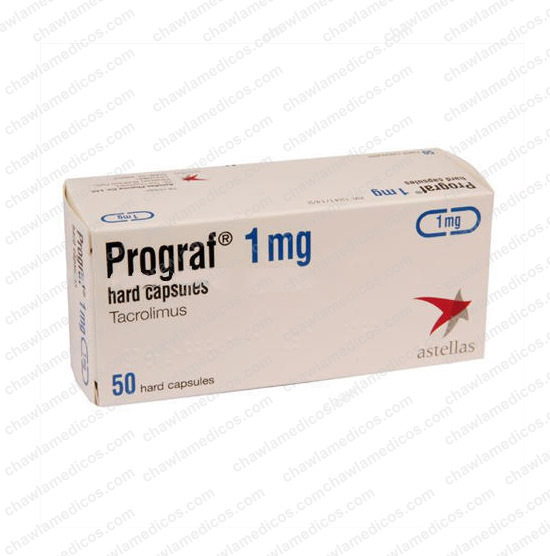 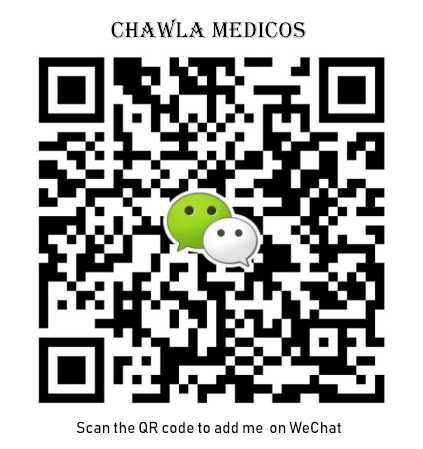 The dosage and the drug form depend on the age, weight and medical condition of an individual. 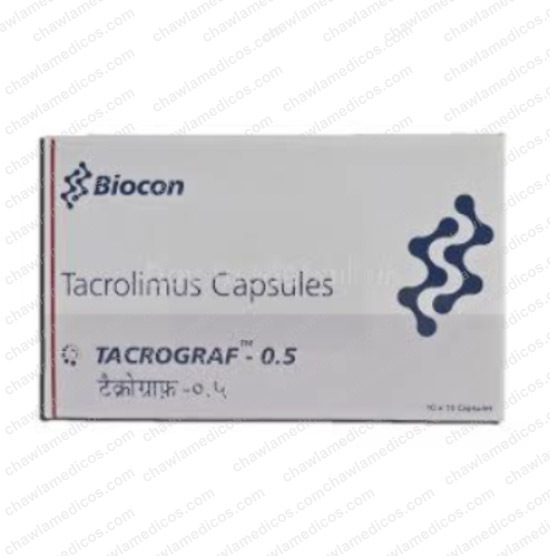 Use Tacrolimus as prescribed by your doctor.